Impact Windows- are Impact Windows Right for You? Over the last 20 years, while I was offering windows to Tampa Bay area residents, I have seen huge changes in window requirements. The legislated mandate that windows in much of the state be impact rated, to me, is far overblown. I do have mixed feelings when it comes to impact windows. They are expensive, though some manufacturers have found ways to cut corners with cheaper components for their impact windows to bring down prices. I know of one impact window manufacturer that is now using low grade laminate glass that tends to distort the world outside, but it did bring down the cost of their impact windows. Impact windows are heavy. We installed double hung impact windows for a retired lady who lived alone in St. Pete. They were too hard for her to open and get them closed again without begging her neighbor for help. And impact windows usually look more bulky than other window designs. On the positive side, if you have impact windows and a hurricane threatens, or even a tornado, you will enjoy a confidence and peace of mind having provided yourself with such security. And- no one is breaking into those windows either. High performance impact windows will stop a break-in cold! They are there protecting you constantly, nothing to install, nothing to store, nothing to even think about. I have visited thousands of homes, many built in the late 1800’s. I’ve seen glass panes that were made using the old technology of rolling the molten glass rather than the current float glass technology. You can recognize it by the distorted view you get looking through them. Move your head back and forth and watch the world change shapes. They were not perfect optically, they were hard to get clean, and they were made with very thin panes of glass. As frail as those windows were, I did find the occasional one that was cracked, but never as a result of damage from a hurricane. I remember the night in 2004 when Hurricane Charlie was bearing down on Tampa Bay. We expected a direct hit and it looked like at Category 3 or higher. 115 to 120 mph winds were expected. I was scared. We stayed in our home, braced for the storm, and praying that no one would be hurt. We climbed into bed just after the 11:00 pm advisory on the Weather Chanel and it didn’t look good. I set my alarm for 4:55 to be up in time to see the 5:00 am advisory so we’d be ready to face the beast. That night the Lord smiled on us. Amazingly, Charlie had taken a hard turn to the right. 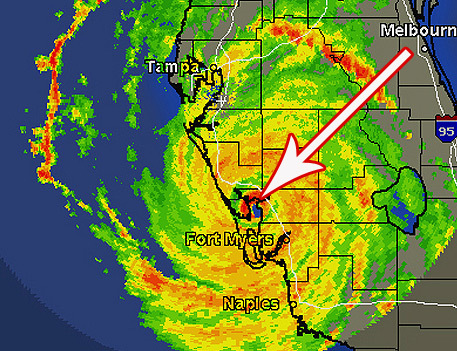 It wasn’t good news for Punta Gorda, but it was for us. We did have strong winds. Some limbs were blown down. Rain was fierce at times, but we were spared what could have been a disaster. There were areas in Punta Gorda where entire homes were lost. Roofs ripped from walls led to the entire home turning into rubble. Would Impact Windows Have Helped? What would have happened if those homes had impact windows? That’s a question no one can really answer. They certainly could not have hurt, but in many cases those homes would have had to strengthen other areas too if they hoped to eliminate major damage. In some cases, I’m sure that debris crashing into thin window glass allowed hurricane winds to get into the envelope of the home and start pushing up on those roofs from the inside while the hurricane tore at them from above. I’m also sure that some of those roofs went first. Insurance companies figure that impact windows certainly would not have hurt, and would have helped, so they led the charge to change building codes across the state. Windows installed in much of Florida, especially the Tampa Bay area, have to be wind load rated. They are tested to determine their design pressure capabilities and rating, the amount of pounds per square inch of pressure they can handle before they leak water or outright blow apart. Depending on where you live, your local building department regulations could mandate your windows handling 140 to 170 mile per hour wind loads- wind and rain- not impact! The way most impact rated double pane windows are made is mounting the regular pane of glass on the outside and then putting in the laminate glass with an inner PVB layer, like what you find in the windshields of most cars, mounted as the inside piece of glass. The test amounts to shooting a 2×4 at about 50 miles per hour directly into the glass and then another 2×4 shot into the frame. The 2×4 cannot penetrate. Then the window is subjected to more wind testing. It’s quite rigorous. When I first heard with impact windows that the laminate was on the inside, it didn’t make sense. An engineer explained that if an outside laminate was hit and was badly cracked, the next hit in the same area could allow the projectile to smash the broken laminate into the inside piece of glass, with only about 1/4” of air space separating the thick laminate and the inside regular annealed glass. Shards of the interior glass could become deadly projectiles, so the laminate was on the inside, protecting the people. 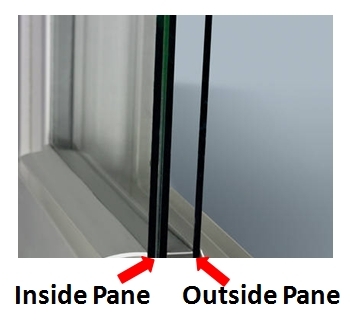 By the way, another minor negative about impact double pane windows is the thinner air space between the glass and the resulting reduction in potential thermal efficiency. Think about it. If you have regular glass on the outside and a projectile hits hard enough for you to benefit by the inner laminate glass, the outside piece will be irreparably damaged. Those old windows, builder’s grade that most Florida homes started with, probably had single strength glass, 3/32” thick. Add 1/32” more to the glass thickness and it’s called double strength. Double strength has only to do with glass thickness, not strength. 1/8” glass can vary in density. Some weigh 10 ounces per square foot, others as much as 19- the denser, the stronger. If you have dense double strength glass on the outside of your window pane and another piece of double strength on the inside, that’s radically different than a single piece of single strength, isn’t it? But you must go even further in most of the Tampa Bay area if you want to replace more than 25% of the total glass area in your home in a fiscal year. You need to end up with an impact rated opening. An impact window with full impact ratings will have that sacrificial outer glass, be much heavier and somewhat harder to operate, look bulkier than non-impact windows, and cost more. But for those trade-offs you get peace of mind and a savings on your insurance costs. I could go on and on about impact windows. If you’d like to discuss it, leave a comment, or if you are in the Tampa Bay area, Click here to get to my email link, send an email, and I’ll connect with you.